Dental implants in the esthetic zone single tooth replacement and multiple teeth replacement with Laser assisted dental implants surgery. 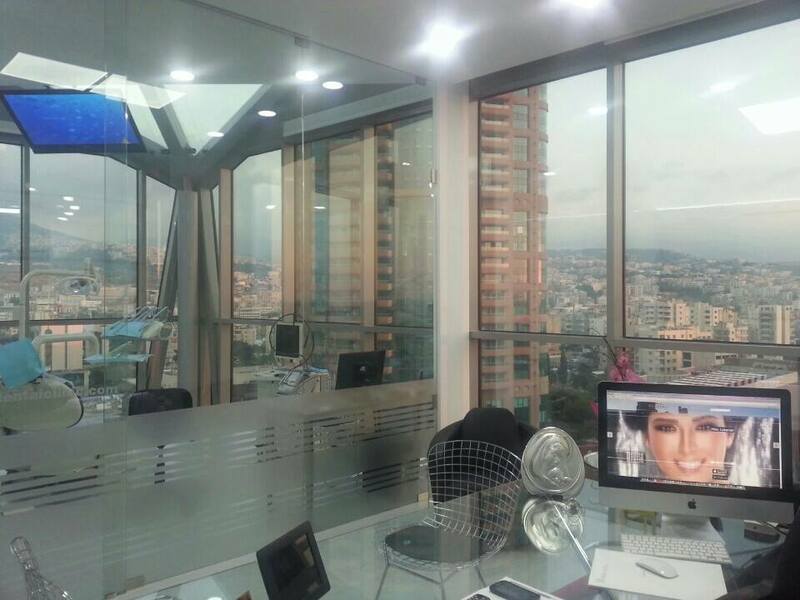 Best Dental implants dentist in Lebanon Beirut with Laser assisted technology Dr. Habib Zarifeh head of Clemenceau Medical center Oral surgery dental clinic affiliated with Johns Hopkins International. Dental implants surgery should always be performed by Oral surgery or dental surgeon specialist, also called periodontist and oral surgeon to minimize the risks of this very accurate procedure. 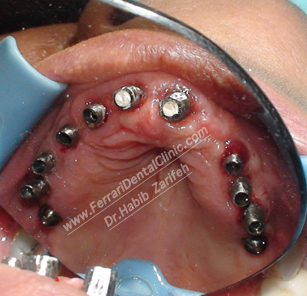 Dental implants are most difficult in the esthetic zone especially when it needs Bone graft management. 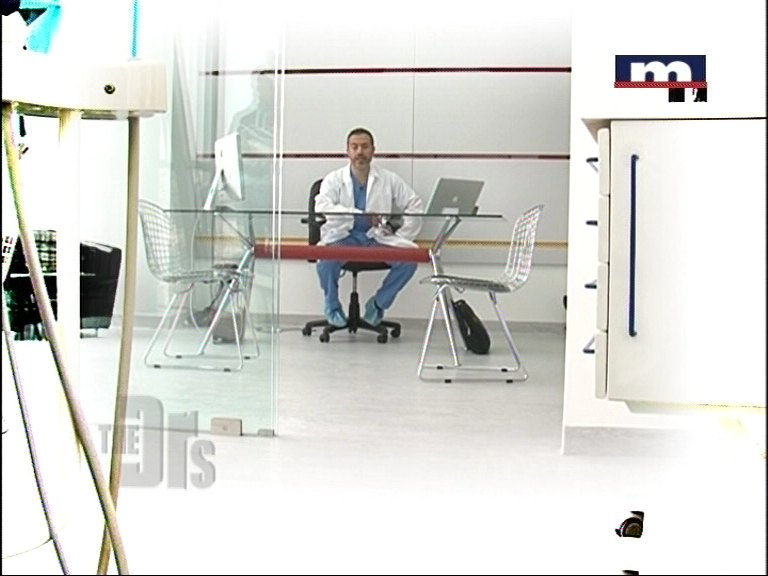 Medical tourism or international patients always seeks the best dental clinics for dental implants and oral surgery. Visit our detailed website; Click you case; and learn more about it. Despite improvements in dental care, millions of people suffer from tooth loss. For many years, the only treatment options available for people with missing teeth were milling the adjacent teeth to do bridges and/or treating patients with removable uncomfortable dentures. 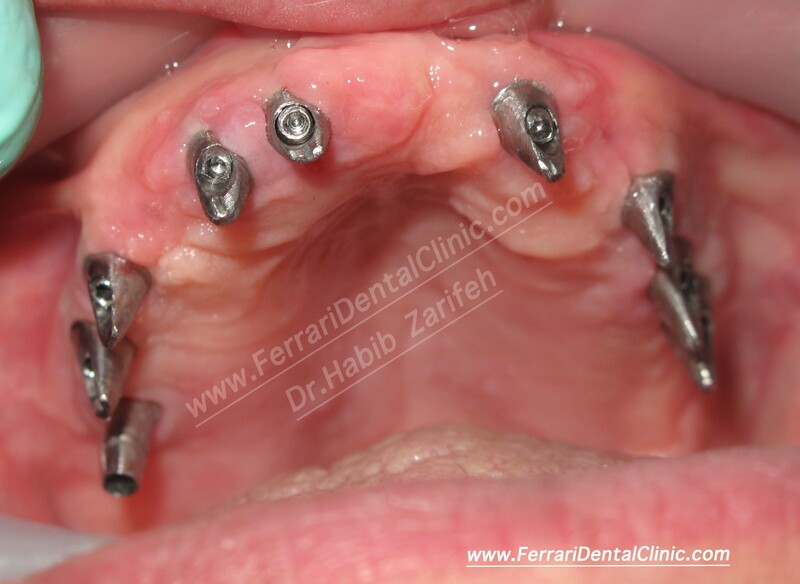 But, today, dental implants especially in Lebanon are the most common alternative for replacement of missing teeth. Simply Dental implants are titanium or zirconium replacement for tooth roots. 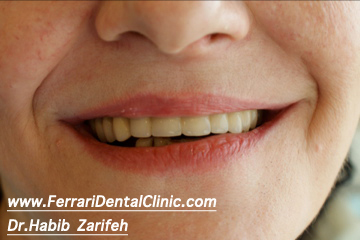 What are the advantages of dental implant surgery at Ferrari dental clinic ? *Improved appearance: Aesthetically crowns on implants appears more aesthetic than PFM bridges, oro-ceramic bridges and partial or complete dentures. 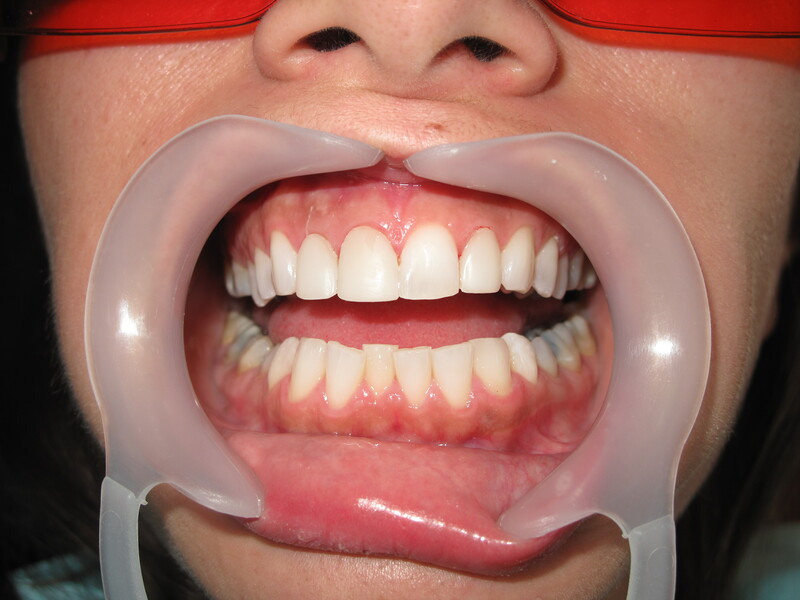 *Improved speech: in comparison to removable dentures. *Improved comfort: Because implants integrate to the bone, they eliminate the discomfort of removable dentures especially in complicated cases. *Easier eating: Dental implants function like natural teeth, with confidence and without pain. 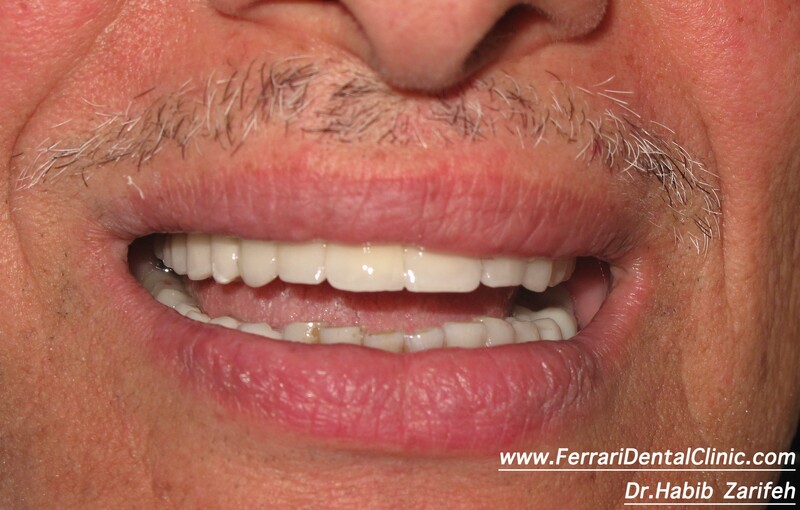 *Improved self-esteem: Dental implants can regenerate the smile in perfect condition. *Improved oral health: Individual implantsallow easier access between teeth, improving oral hygiene. *Durability: Implants are long lasting, many implants last a lifetime. *Convenience: Removable dentures are just that, removable. Dental implants eliminate the embarrassing inconvenience of removing dentures, as well as the need for messy adhesives to keep them in place. 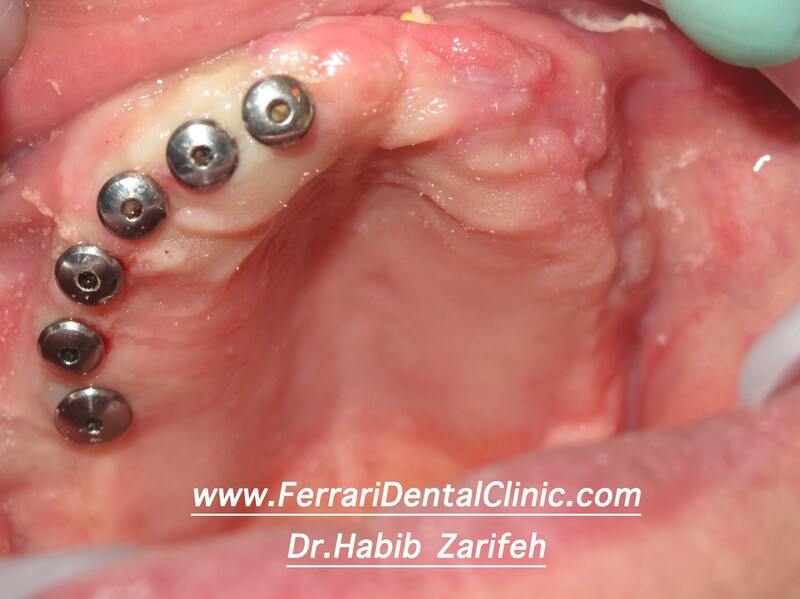 What is the success rate for dental implants in Lebanon? Success rates of dental implants depends of many factors and conditions, like: patient medical history, allergic history, proper hygiene, complication of the case…usually dental implants have a success rate of up to 97% for simple cases. Dr.Habib Zarifeh head of Clemenceau medical center dental department affiliated with Johns Hopkins international in Lebanon use cutting edge technology for oral surgery and cosmetic dentistry. Are dental implants for every candidate? In most case, anyone healthy enough to undergo a routine dental extraction or oral surgery can be considered for a dental implant. 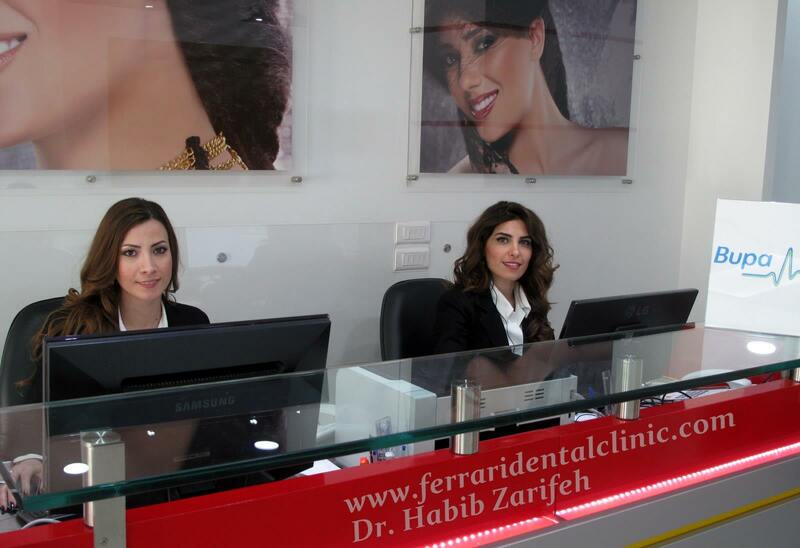 What are the expectations after receiving a dental implant surgery in Beirut Lebanon? Dental implants are like your own teeth and will require the same care. In order to keep your implant clean and plaque free, brushing and flossing still apply. 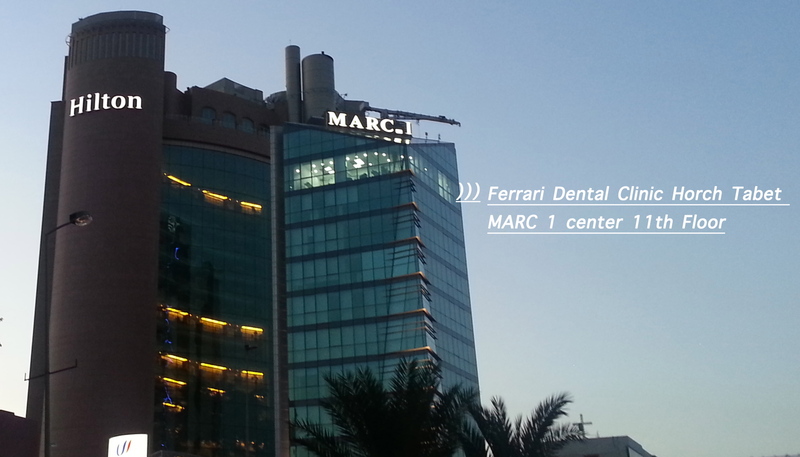 How much time the treatment of dental implants need to be finished at Ferrari dental clinic? 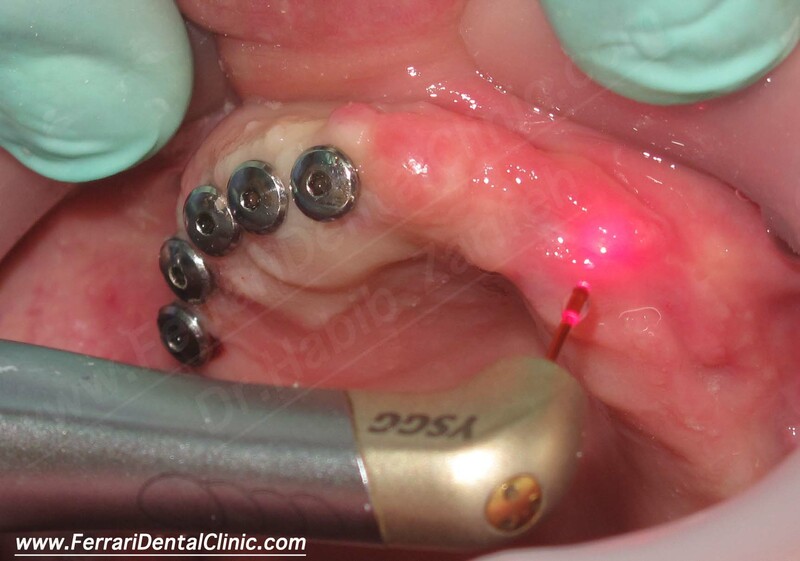 Usually implants are loaded after 4 weeks to 6 weeks in simple cases, however, with extreme complicated cases it could go to 6 to 9 months.With the new improved implant surface and to the advanced laser assisted technology now the dental implant surgery can be done as a flapless surgery, and with the new Cad Cam computerized dentistry, the crown on implant can be loaded at the same session of the surgery in simple cases.